8" X 8" red Italian tile unglazed and fired to Cone 04. Ready to be painted, by using Duncan or Mayco glazes. buy 22 get 10% discount. 8" X 8" red Italian tile unglazed and fired to Cone 04. Ready to be painted, by using Duncan or Mayco glazes. Frostproof tiles need to be fired flat on the kiln shelf. 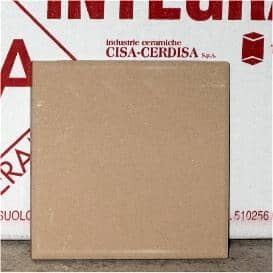 TILE4X4BR 4" X 4" red NON-porous Italian tile unglazed and fired to Cone 04. Ready to be painted, by using Duncan or Mayco glazes. Fire flat on the shelf. buy 25 get 10% discount. TILE 4" X 4" red porous Italian tile unglazed and fired to Cone 04. Ready to be painted, by using Duncan or Mayco glazes. Tile shipments sent basic UPS can no longer be covered for possible damage. UPS will no longer accept claims on damaged tiles being shipped this way. When ordering larger quantities of tile accept the additional $15 handling charge. and fired to Cone 04. *Ready to be painted, by using Duncan or Mayco glazes. Fire flat on the kilnshelf. Porous and absorbent fired to Cone 04. *Ready to be painted, by using Duncan or Mayco glazes.